Before arrival to the battle, Allah sent down the rain to soften the ground over which the Prophet and his army traveled, making them and the animals more sure-footed, whilst the Meccans had parts of their trail washed away and in mud making it difficult for them. Remember that Allah always opens a pathway for success when we place our full conviction and have firm faith in Him. Amongst the signs of tawakkul in Allah from the companions, was their complete trust that they could conquer the large army despite the ratio difference. It is from the grounds of the battlefield we often find many verses revealed in the Qur’an of the spiritual and physical strength that was required. Similarly, the fight of the soul to develop itself is enduring this month so that you may reap many rewards, yet you must seek success from Allah . The Prophet knew that he and his Companions were not alone in this battle. The Qur’an revealed that Angels joined the battlefield to help the Muslims.Let’s ask ourselves, how can we practically bring such aid from Allah in our day to day life? This is where the inner jihad that takes place in serving Allah comes into play. We are taught that internally we must open our soul with firm faith in Allah and guide our body and actions to good deeds in order to receive assistance from Allah and to turn away from the distractions of Shaytan. 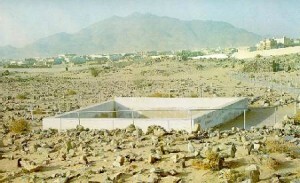 Today, Muslims worldwide are divided yet the Battle of Badr affirmed the fruits of being united as a brotherhood. They solidified their lines, and became like an immovable wall. The Quraysh were inwardly full of fear and all the confidence which had been there as they set out from Mecca was washed out of them as they met the well-disciplined Muslim army. Even Shaytan fled the scene in the overwhelming spiritual presence and Help of Allah that descended on the united Muslims. One of the biggest lessons of Badr, is that that we shouldn’t feel defeated this Ramadan. We shouldn’t feel defeated internally; by giving up to laziness, or making excuses, or failing to perform our utmost to serve Allah . And we shouldn’t feel defeated collectively, as an Ummah, regardless of our circumstances, for truly the victory of Allah is near. Whilst the lessons are manifold from the battle of Badr, we hope the above is useful. Please share some more lessons below!